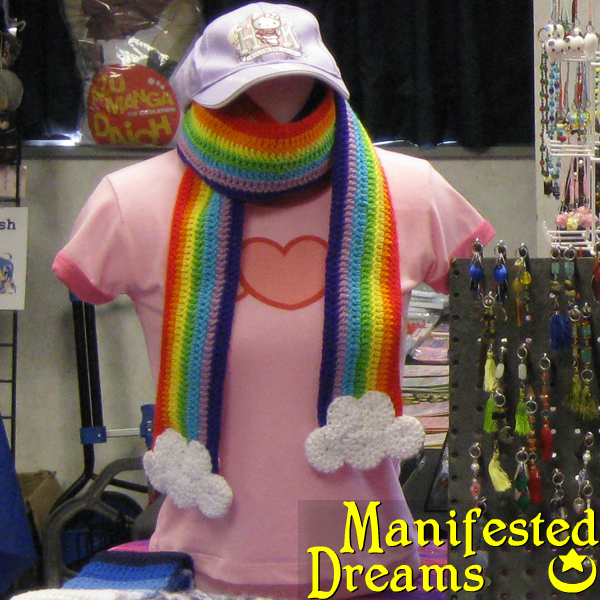 Manifested Dreams: Rainbow Scarves now available! My rainbow scarves are now available for purchase on my site! They measure 7ft long and are incredibly soft and bright. Perfect for the winter time and oh so warm. Remember, my Black Friday sale is going on this weekend so it is the perfect time to pick up some unique holiday presents! This scarf qualifies for both free shipping and a free item, you win all around!